So I am back, and what better way to celebrate my return than with one of those list pieces that seems to be so popular on the internet at the minute. As with all of these list articles this is my own opinion and is subjective. Certainly I love many of the shows in this post because they mean a lot to me personally and have influenced me to a great extent. So without further ado here are my 5 current favorite anime. 1.Welcome to the N.H.K Welcome to the N.H.K is a show that I continually come back to, and . In my eyes the greatest strength of Welcome to the N.H.K is its brutal honesty. Unlike most shows of its type it doesn’t pander to its audience, and at many points heavily criticizes otaku culture. Here we have a show that isn’t afraid to tackle the many social issues facing modern-day Japan, while at the same time presenting the intensely personal and relatable tale of its main character Satou. At the same time each of the shows side characters are impossible not to fall in love with or at least feel sorry for. They all have their own great moments and often act as foils and for Satou. The fact that, along with all this, the show manages to be humorous without compromising any of its characters or story telling is testament to how well put together it is. It’s clear that Tatsuhiko Takimoto drew on many of his personal experiences when writing Welcome to the N.H.K, and it’s through his insights on society and human nature that Welcome to the N.H.K becomes so much more than just another otaku pandering show. For those of you have watched the show, I would highly recommend the original light novel, which gives greater insight into Satou’s state of mind, as well as expanding on Misaki’s role in the church. Welcome to the N.H.K is available on DVD from MVM entertainment in the UK, and Funimation in the US. 2.Shirobako Having only ended just under a week ago there is a chance that my love for Shirobako will dull over time. However that’s why I described this post as my current top 5 shows, and there are few shows within the last year that have given me as much enjoyment as Shirobako has. 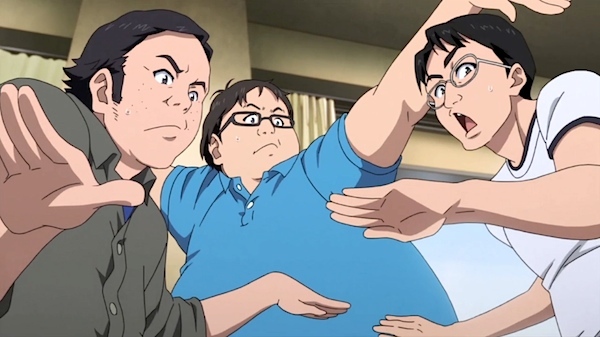 Of course the main draw of Shirobako is the insight it gives into the animation industry, as well as the nods and references it makes towards directors and other major figures in the industry. But Shirobako is at its best when its presenting the struggles of its main characters, there’s nothing more joyful than seeing a member of the production crew succeeded after doing everything in their power to overcome a problem. In the end Shirobako is a show depicting passionate people doing the thing they love, made by passionate people doing the thing they love, and it shows. Shirobako could be a show about knitting and it would still be enjoyable, simply due to the shows infectious energy and love for its subject matter. Of course given that the shows subject matter is animation production, simply adds to its appeal. Shirobako is available to stream on Crunchyroll, and has been licensed for DVD and Bluray release by Sentai Filmworks in the US. 3.Chihayafuru Remember when I said Shirobako could be about Knitting and I would still enjoy it? Well here is a show focused on a subject that’s equally obscure. Much like Shirobako, Chihayafuru is a show where the passion for its subject matter shines through and becomes infectious. Before watching Chihayafuru I had no idea that Kurata as a concept even existed. Yet by the end of the shows 25 episode run, Kurata was a game I desperately wanted to play and learn more about. Chihayafuru does a wonderful job of making Kurta entertaining to watch, thanks in part due to its wonderful soundtrack and engaging characters. Most of relationships it presents may come straight from the big book of Shojo tropes, and it moves at a glacial pace especially in the second season. But again like Shirobako, the enthusiasm for its subject matter shines through and its impossible not to have at least some interest in Kurta by the time episode 25 has ended. 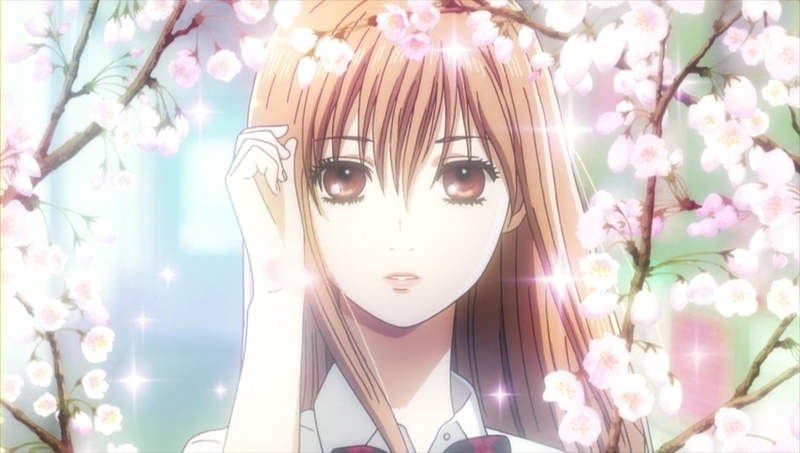 Both seasons of Chihayafuru are available streaming on Crunchyroll, and is available form Siren Visual in Australia. 4. 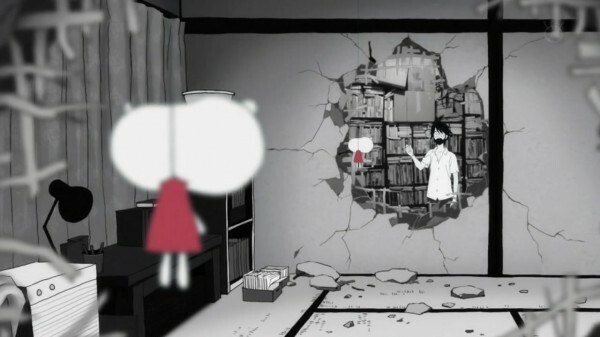 The Tatami Galaxy Masaaki Yuasa is one of my favorite directors of all time not just in the animated medium. One of my pet peeves of the anime industry, is that anime as a medium is often seen as either simply an extension, or at worst an advertisement for the shows source material. With the anime adaptation recreating source material down to a tee, in a way that doesn’t take full advantage of animation as a medium. This is a criticism that could be in no way leveled at Masaaki Yuasa, unlike most directors Yuasa uses the medium in a way that both aids his story telling and makes each of his works unique. While arguably Ping Pong is his best work, and it may well become my favorite after rewatching it, The Tatami Galaxy is at the moment my favorite of his works, due to it being more relatable. At its heart The Tatami Galaxy is a very simple groundhog day tale, with the unnamed protagonist repeating his university years over the course of each of the shows 11 episodes. Yet Yuasa’s visual style and the blistering narration by the protagonist makes The Tatami Galaxy stand out. And unlike many other pieces of fiction that use the same narrative structure, the show uses each repetition to highlight different aspects of all of its characters. Sometimes bizarre, visually striking, and always engaging, the Tatami Galaxy is a show everyone should try. And unusually for shows of its type its ending is incredibly satisfying. Tatami Galaxy is available on DVD from Beez in the UK and Streaming from Funamation in the US. 5. Paranoia Agent I could probably fill a list of my favorite anime films with the works of Satoshi Kon alone, but this being a list for anime series there is only one choice. 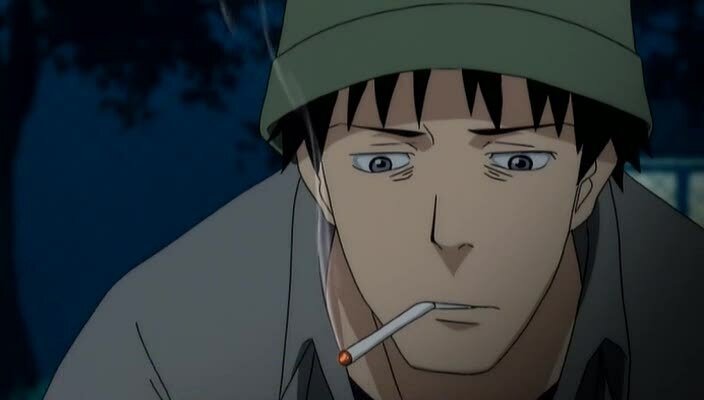 That is not to say that Paranoia agent is a weak show by any means, but it perhaps does not hold up to the quality of Kons other works. Paronia Agent is a deeply cynical portrayal of modern society and how many come to deal with it. with the psychological sate of each of its characters and how society effects them. The show is at its best when it focuses on a single issue or character and presents what it has to say in an interesting but straight forward manner, such as the episode on suicide.It falls apart a little when it tries to bring together its overarching plot, which makes what should be a straightforward message, incredibly confusing. 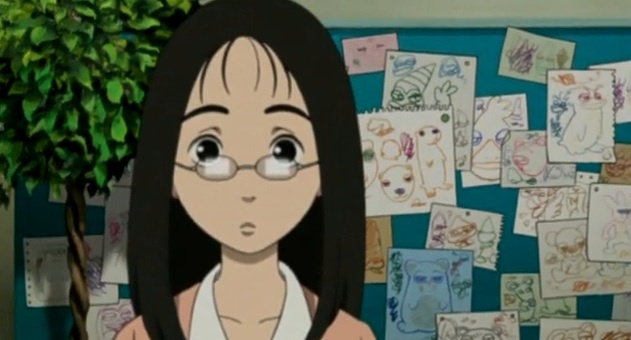 Although that is part of the fun of Paranoia Agent, for weeks after watching it for the first time I was obsessed with it trying to pick apart everything it had to say. Paranoia Agent is certainly not a show for people interested in plot or characters, but for those who want an interesting show that actually has something to say then this is for you. Paranoia Agent is available on DVD from MVM entertainment in the UK, and was released by Geneon in the US.